San Francisco based social media games developer Zynga is in a real tailspin. The company, which was formed in 2007, has seen its stock prices fall to $3.18 per share from an all time high of $14.69 in 2012. The company is in dire straights, and despite recently teaming with European betting giant bwin.party to offer real money gambling to punters in the UK, Zynga needs a game changer. Mobile based online gambling can and should be that opportunity. Named as the fastest growing segment in the internet gambling industry, mobile gambling is poised to overtake the desktop in terms of revenues produced within three to five years. The amount of money being spent by other gaming firms on real money mobile betting development is huge, and Zynga needs to show up to the party. 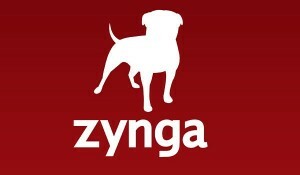 For those of you who aren’t in the know, Zynga is a social networking game developer. Even if you don’t recognize their name, there is a solid chance that you have played their games in the past. Since its founding in 2007, Zynga has launched popular social games such as Words With Friends, Farmville, Zynga Poker, and Slingo, among many others. While you may scoff at the notion of a social gaming company adopting real money gambling, you may want to take a look at the numbers. Currently Zynga products rank number six in the amount of time that users spend using their software. The firm only ranks behind Facebook, Apple, Microsoft, Google, and Pandora in that category. With that much time being spent on Zynga games, the company’s games have become brands, instantly recognizable to millions of people throughout the world. Even with financial hardships that the company is facing, you cannot throw away the value of an established and recognized brand. We have already established that Zynga houses several strong brands, and that users of their products spend more time with them than anyone else on the web. Now, Zynga needs to capitalize on these strengths and translate them to the mobile betting market. The company took a solid first step with its Zynga Plus Casino and Zynga Plus Poker gambling products earlier this month, but this alone will not stem the tide of losses for the company. The firm needs to actively work with bwin on creating a strong mobile based product that will translate its social gaming experiences over to mobile devices. Once they deliver their real money mobile offerings to the masses, the firm needs to do a better job of marketing the launch and delivering a stable product. Many players in the UK do not even know that Zynga has a real money casino, and those that do have voiced concerns about the site’s lack of stability. These are all issues that need to be addressed on Day 1. Zynga’s Founder and CEO Mark Pincus is a smart guy and honestly, the company’s real money casino products are a lot of fun to play. If Zynga has the forethought to port these over to the mobile platform, they will be on the right track. There appears to be a lot of skepticism regarding the company’s future, and a lot of the criticism that Zynga has faced has been brought on by bad business decisions. With that being said, it is hard to see how a company with 52 million daily active users could whiff on an opportunity as big as real money mobile betting. The company has a solid partnership with one of the industry’s biggest names, and it seems logical that the social gaming firm will enter the mobile betting market by 2014.